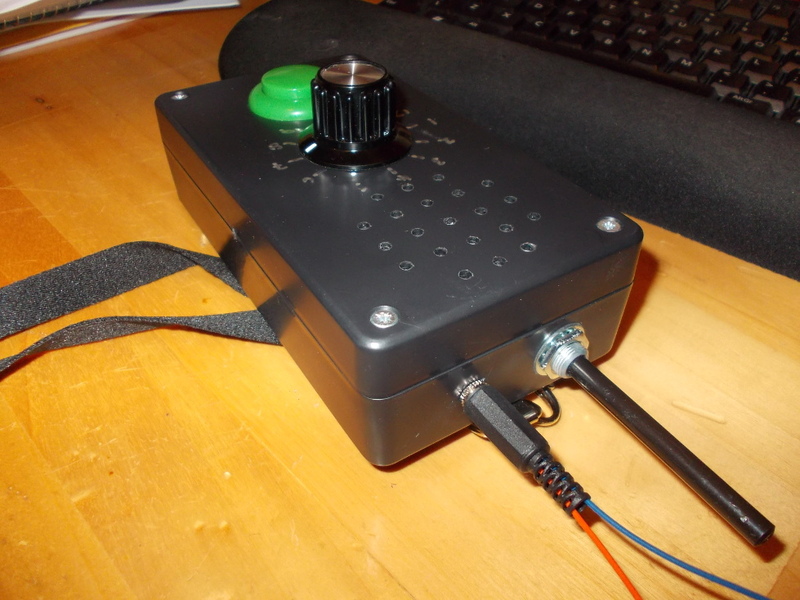 In the next image a surface transducer (a surface speaker) is plugged into the Sound Box. 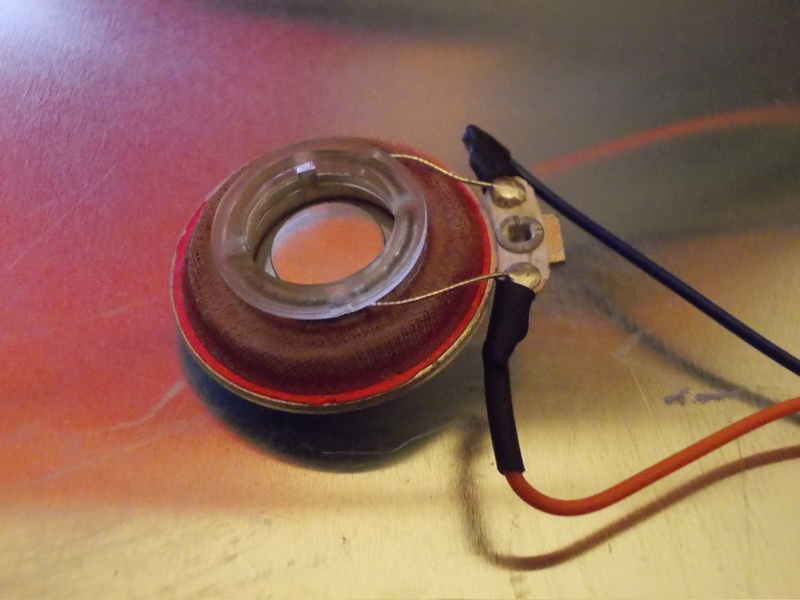 The transducer itself is attached to a 1.2mm zinc plate with a strip of BlueTack. 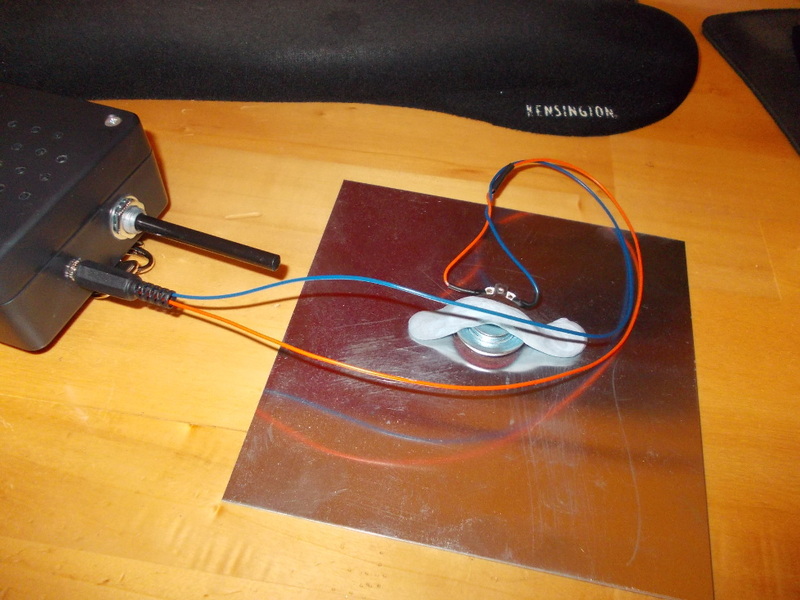 The transducer makes the zinc plate vibrate to produce sound. The final image is a close-up of the transducer. You can buy these for around £5.00 each (or less) from many outlets on the web. The next experiment will be to connect the Sound Box to an external amplifier, and from this to a much more powerful speaker. The speaker will be attached to a metal plate and we will look at how the sound waves propagate on the surface of the plate to produce patterns (visible using fine sand or powder).